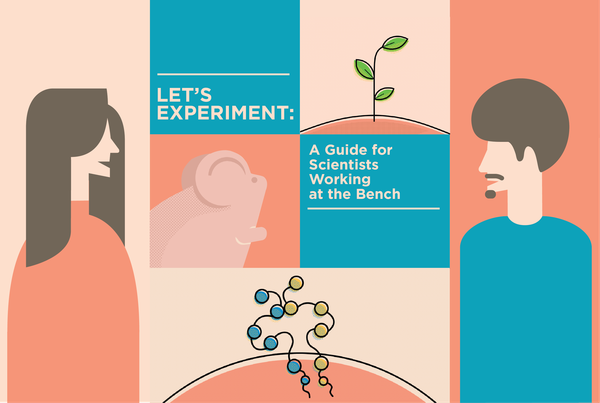 “This free 6-week course features scientists from a variety of backgrounds, who provide concrete advice on how to design and carry out experiments in biological research. We use case studies to make the abstract more tangible. In science, there is often no simple right answer. However, with this course, you can develop a general approach to experimental design and understand what you are getting into before you begin. A detailed plan for your experiment(s) that you can discuss with a mentor. A flowchart for how to prioritize experiments. Tips and best practices for how to get started with an experiment. A lab notebook template that is so impressively organized, it will make your colleagues envious. Many BGS students have expressed interest in learning about aspects of business as part of their preparation for various careers. Wharton conducts a series of Coursera courses in business foundations. The courses are free for people who don’t want or need any course credit and simply want exposure to business principles and practices. However, some people may wish to receive credit for individual courses or for a certificate (6 courses including a capstone project). Coursera estimates it takes 4-5 weeks to complete each course. The cost per month of Coursera is $79. BGS can reimburse students for up to 7 months of Coursera who show proof of completion (*details below). If you take any of the courses (whether for credit or not), we’d be interested to hear what you think of them. Request for reimbursement must be submitted within 60 days of course completion/credit received. Approval of submissions past the deadline is at the discretion of the program. 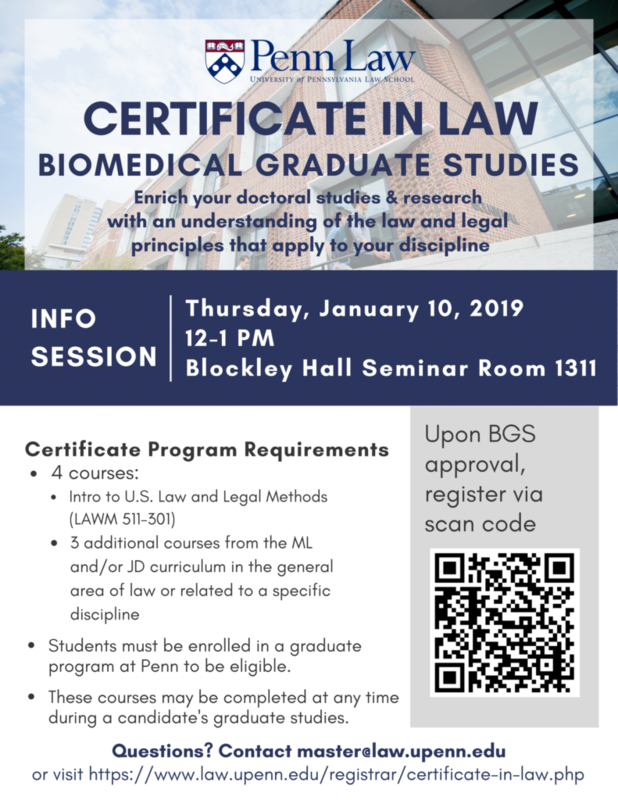 You are invited to attend a Certificate in Law information session for BGS students on January 10, 2019, 12-1 PM, in Blockley Hall Seminar Room 1311. The certificate provides an introduction to law and legal principles and is structured to provide a flexibility adaptable to different pursuits. It may be especially attractive to those interested in entrepreneurship, patent law, regulatory affairs, and certain pharmaceutical settings. The session will discuss the various options in taking one or more classes. As a reminder, students who wish to pursue a certificate program must obtain permission from their graduate groups and BGS as described here. For more information, contact master@law.upenn.edu.